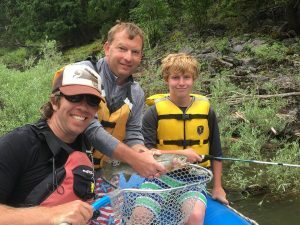 Looking for Guided Fishing for fly fishing Missoula? 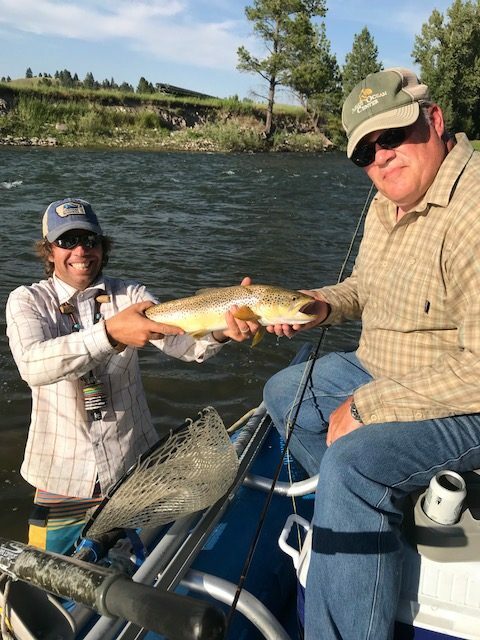 40 years of guiding experience under our belts has given Adventure Missoula a reputation as one of the most knowledgeable guiding services for fly fishing Missoula and NW Montana (Jared Forsythe, Outfitter #10749). 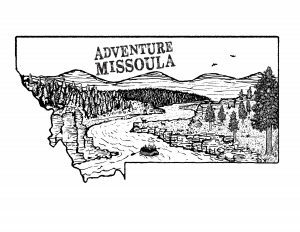 Adventure Missoula can boast that there are 7 major rivers within two hours driving time from our headquarters -centrally located- with the purpose to have the time of our lives guiding others and enjoy it ourselves. We track the river flows, follow the hatches, and understand how the wild and unpredictable weather affects our rivers and streams. We pride ourselves on being true Western Montana natives. 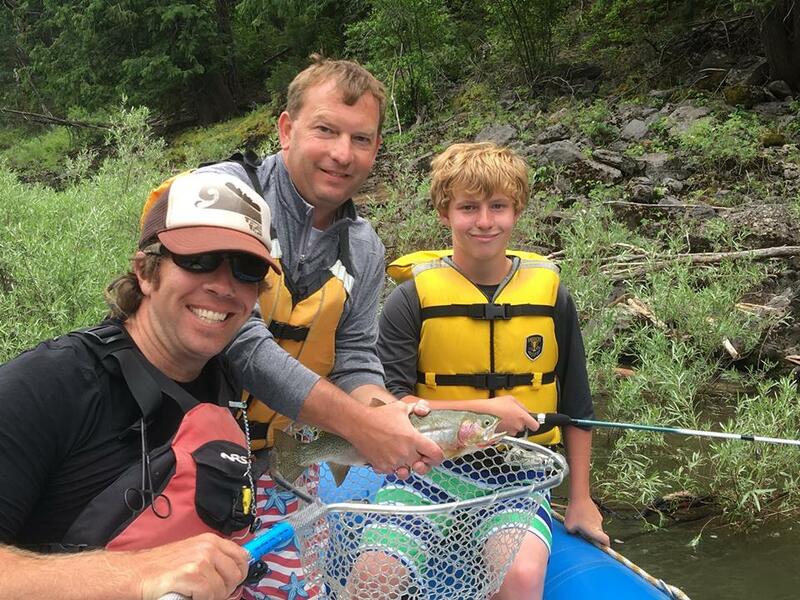 We feel blessed to be fly fishing Missoula Montana! 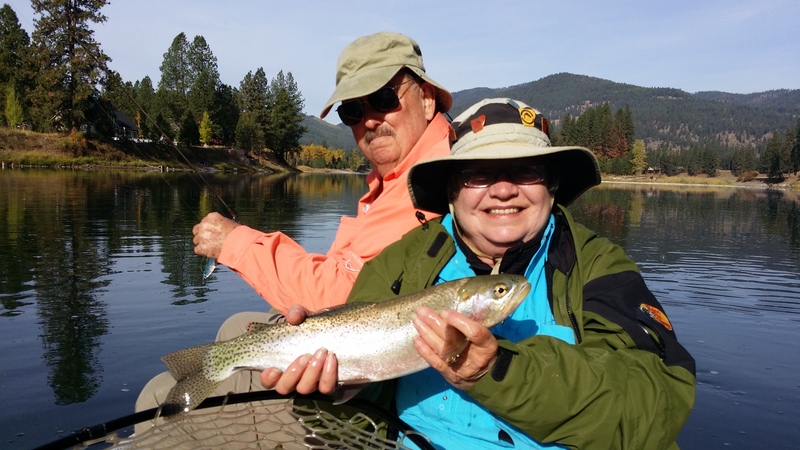 Click here to view your fishing options with us. ______________________________________________________________Adventure Missoula offers full day and half day trips on the Clark Fork, Blackfoot, Bitterroot, and other Western Montana rivers where we employ drift boats or small sport rafts outfitted to navigate these rivers. 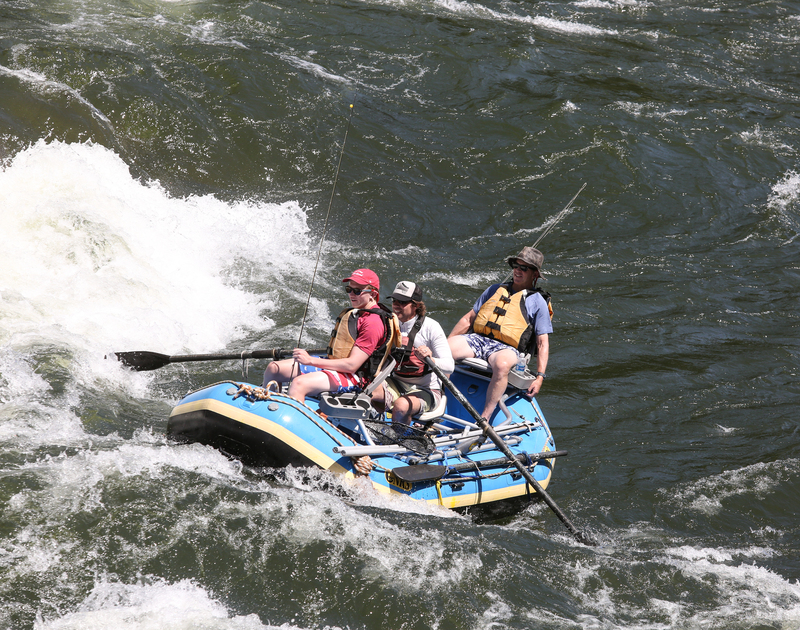 We also specialize in whitewater fishing. Our rivers are noted for Rainbow, Cutthroat, Brown and Bull trout, while neighboring forest banks provide views of deer, elk, beaver, osprey, eagles, kingfisher, geese, and the occasional moose. 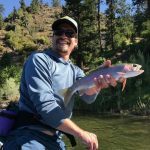 Whether you are an avid fly fisherman or a novice seeking a new way to spend time in the great outdoors, our guides will suit your needs and we’ll make sure you have the right person. 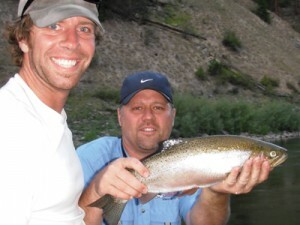 Come join us for a guided fly fishing Montana trip. It’s worth the money and you’ll learn a ton. 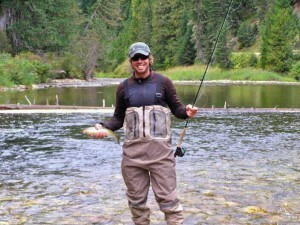 We have guides for spin fishing and fly fishing. Our shop is located on the river at Cyr, MT exit off of I-90, 35 min. outside of Missoula. 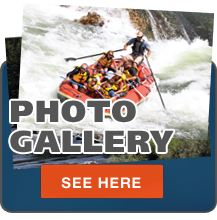 We offer 5 styles of trips with an option to upgrade to a combo trip on the Clark Fork. 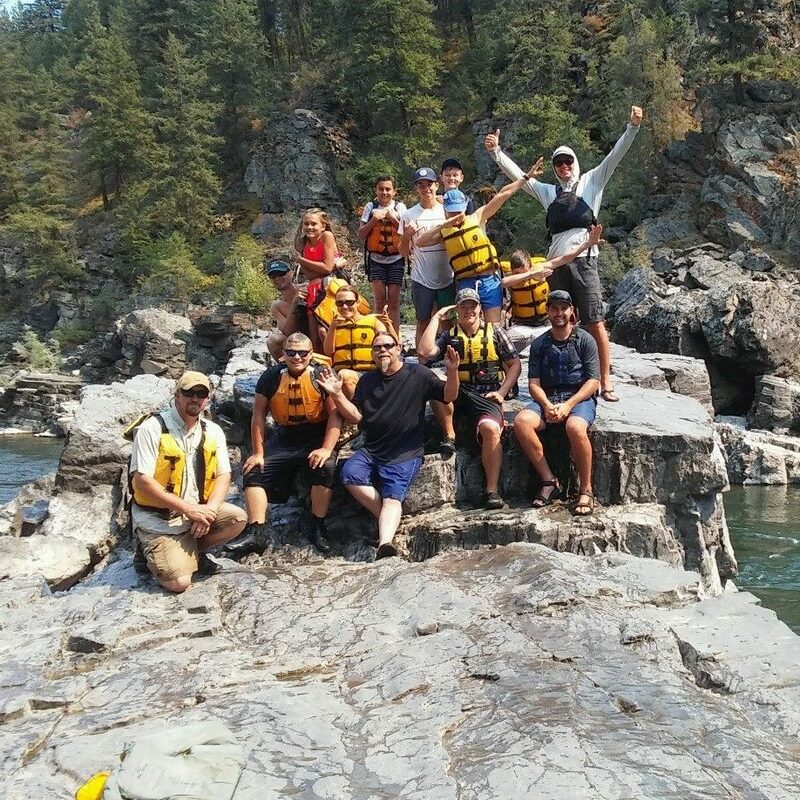 Our customers frequently say that the Combo Trip on the Alberton Gorge section of the Clark Fork River is the most exciting day they have ever had on a fishing/rafting trip. Most of the bigger fish in the river hold up in the pools at the bottom of the rapids so you never know what you might catch. 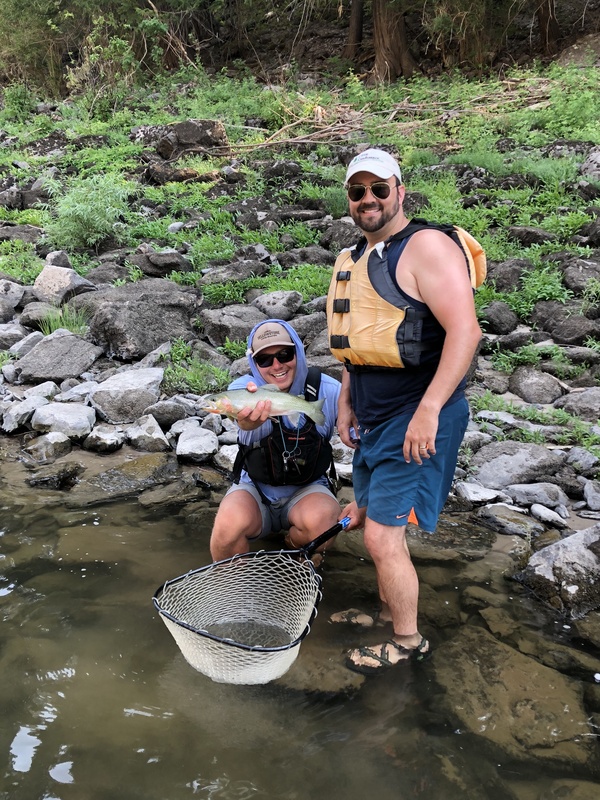 You may choose between fly fishing or spin fishing (or do both), and we have limited guides that can do this trip, book ahead! Fly Fishing Missoula doesn’t get better than this. You will have to wear a life jacket through 5 of the rapids, and all the gear gets put away for Triple Bridges, Tumbleweed, and Fang rapids but you can cast away on everything else! Raft can accommodate: 1 person to a family of 5. Full Day Choice: Clark Fork, Blackfoot, or Bitterroot. 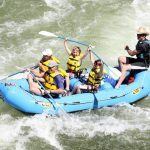 We offer full day trips on a variety of sections of the Clark Fork, Blackfoot, Bitterroot, and other Montana rivers. This full day adventure with a lunch and a private guide all to your own allows you to take in all the information and experience stories and knowledge from our wonderful guides. See More Details! Adventure Missoula offers Half Day trips on the Clark Fork River and fish where it is good at the time of your booking. 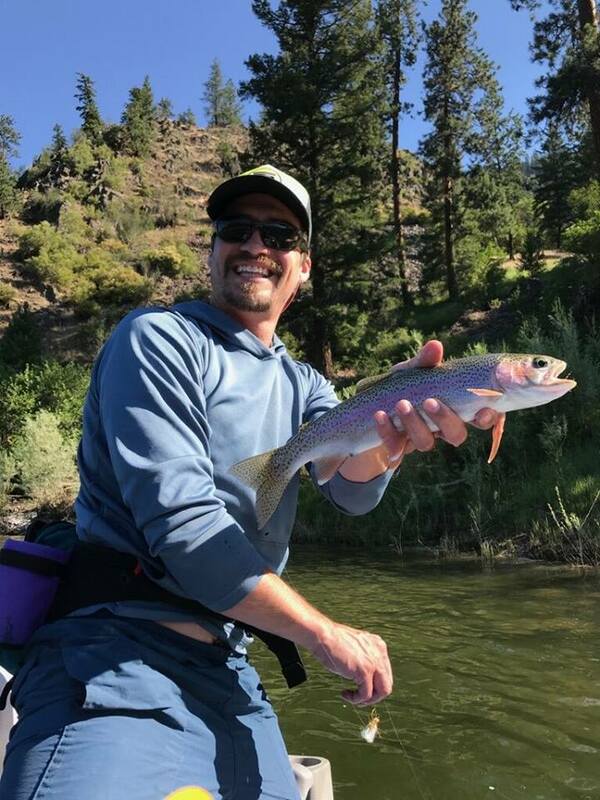 We’ll set you up with one of our guides for a wonderful half day experience with us to get your taste of fishing in our area. See More Details! 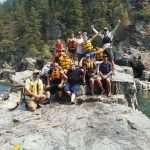 The Trifecta Trip is one of the best featured trips in Western Montana and is offered exclusively through Adventure Missoula. This trip includes one day each on the Bitterroot, Blackfoot, and Clark Fork rivers for $1050 or $1,305 for two people. 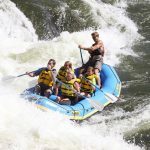 Many want to experience the infamous world-class whitewater combo fishing trip on the Clark Fork. Make this addition for an experience of a lifetime for $75. Spin or Fly Fish (your choice!) We’ll make sure we set up a great guide for each of these days. The largest river by volume in Montana, the Clark Fork drains an extensive region of the Rocky Mountains in western Montana and Northern Idaho. It is gorgeous, huge, and our favorite river by far. The Blackfoot is a fast, cold river with many deep spots, making it prime habitat for several varieties of trout. It is one of the most famous stretches of water in the world and was featured in A River Runs Through It. The Bitterroot is gorgeous with it’s views and an amazing fishery. 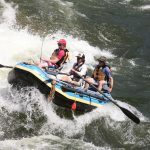 An Adventure Missoula Guide Favorite: *THE COMBO TRIP UPGRADE *If you want the chance to fish for the Clark Fork River trout in the Alberton Gorge and enjoy going through 15 rapids all on one river trip, give us a call. We are one of the few outfitters who have a commercial Alberton Gorge permit. 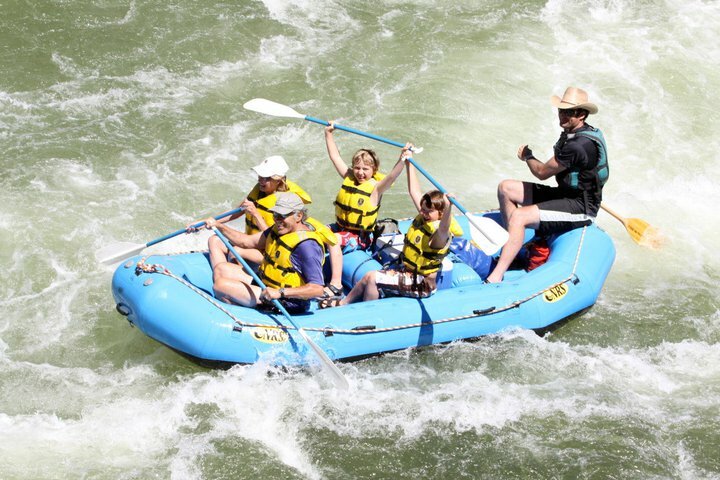 Our 15 foot NRS raft outfitted with casting platforms, seats and lean bars provide the perfect comfort for fishing and rafting. A portion of the trip is spent casting streamers deep into the river behind large submerged boulders and into deep eddy lines. 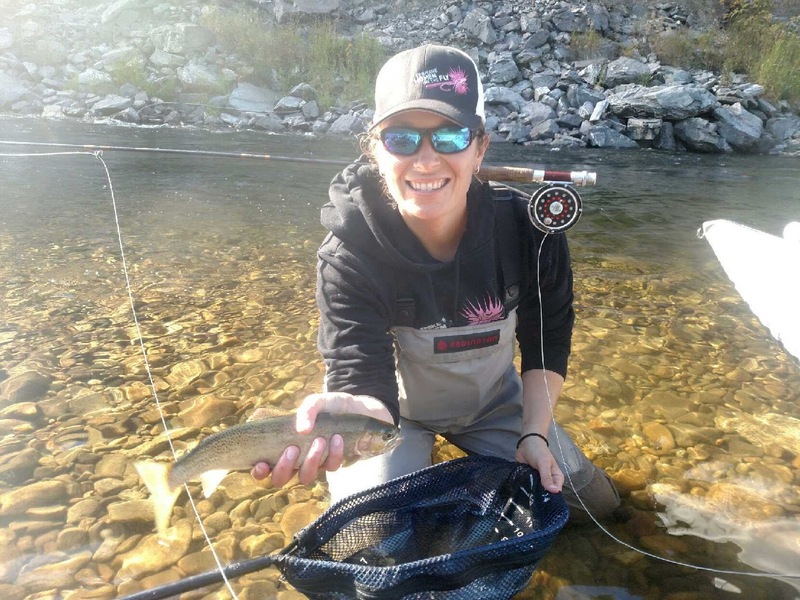 Dry fly action is plentiful with few fishermen on this stretch of river. If this trip interests you give us a call at 406.813.0595 or book online! The Seasons Wondering when the season starts and ends? Our season starts in mid-March and lasts until the middle of November. The month of April is a great month to start the fishing season. We have early beatis hatches and the big guys the fish are licking their lips at: the skwala, gray drakes, March browns and blue wing olives. 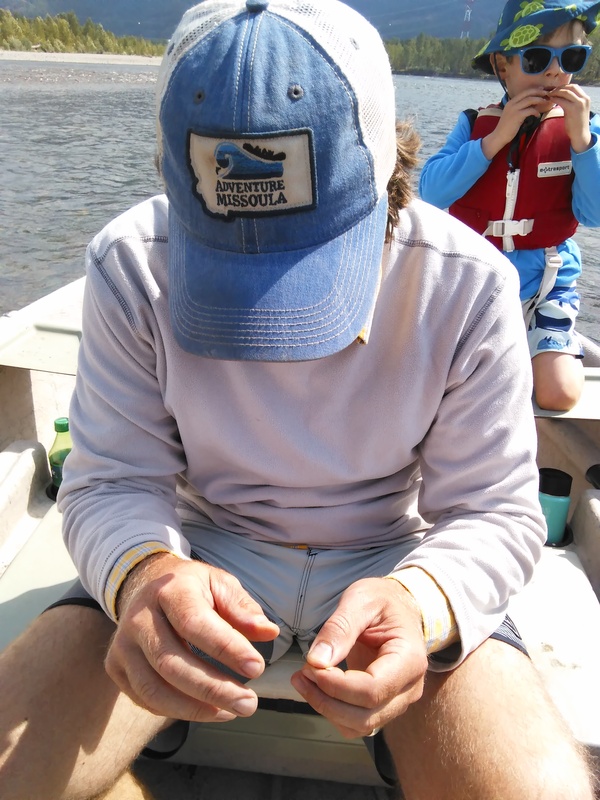 In the months of June and July the stone fly and caddis hatches provide favorable fishing conditions. The fall season is a great way to end the season with Montana’s spectacular dog days of summer. 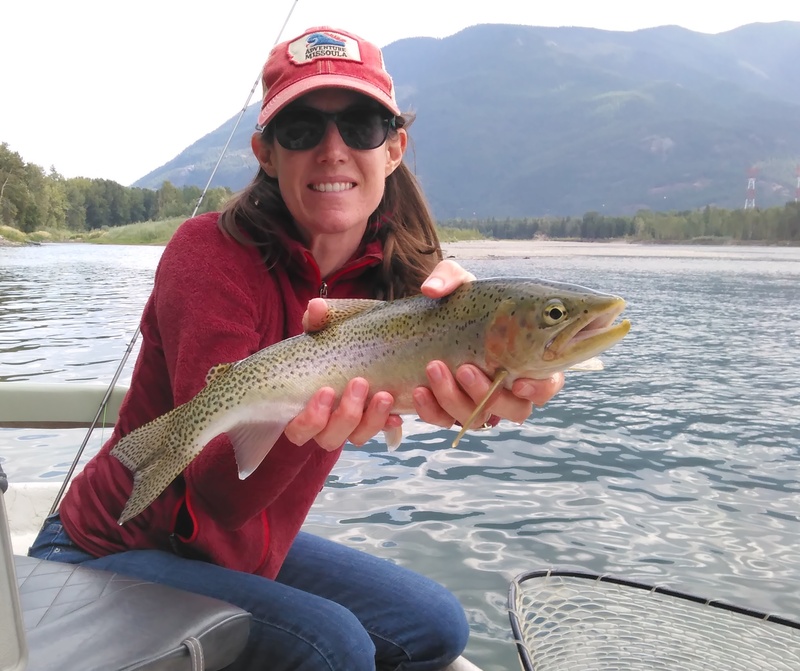 The fall season provides October caddis and mahogany hatches that provide plenty of opportunity to catch fish before winter, and a great way to end the season fly fishing Missoula Montana! 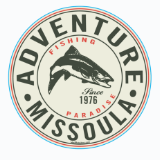 Wanting to spend a whole week or two fly fishing Missoula or exploring the area? 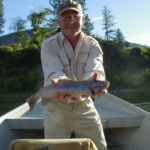 Superior and St. Regis are centrally located in the Clark Fork River Basin with many rivers and streams near by. 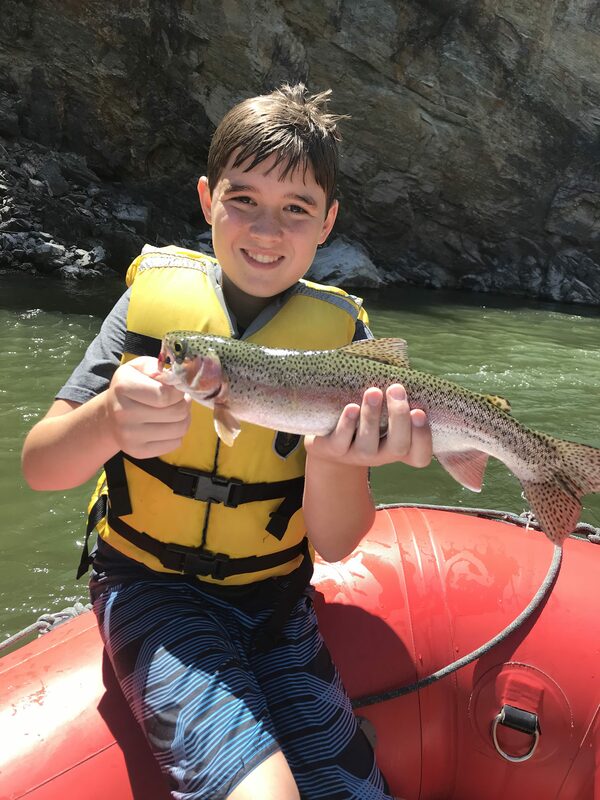 There is plenty of water around to explore and fish and our knowledgeable staff and fully equipped rafting/fishing shop can ensure a successful, fun and memorable local fishing adventure for days! Call us. 406-813-0595. The Blackfoot and Bitterroot Rivers are only an hour drive east of our shop, located on the river at Cyr, MT Exit. Rock Creek, a blue ribbon stream is one and half hours drive east, only 30 minutes outside of historic Missoula and the St. Regis River and Fish Creek are both 15 minutes from our shop. Another blue ribbon fly fishing creek, Kelly Creek is one a half hour drive from Superior, as is the St. Joe River in Idaho. 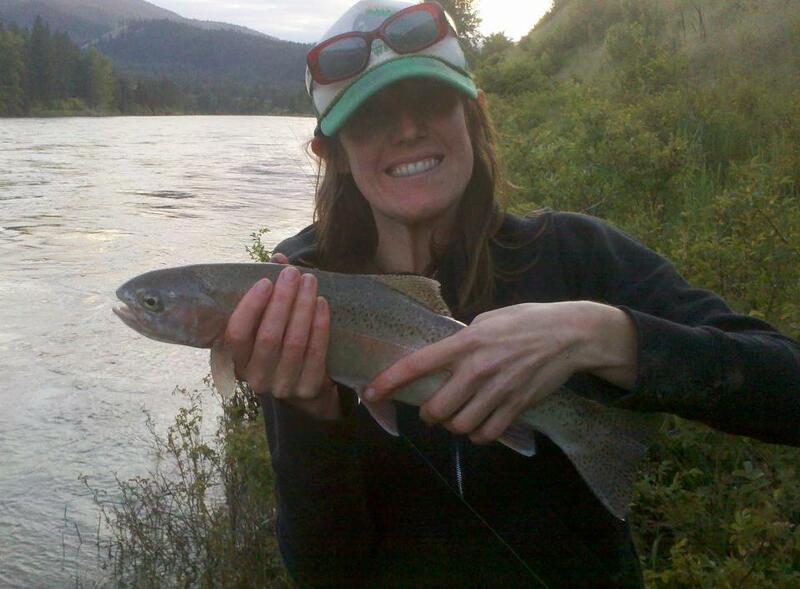 And don’t forget the Clark Fork River, plenty of trout and our shop is only footsteps away from the river. Give us a call to talk about the big one. You’ll never forget Fly Fishing Missoula, Montana!! !